History - Rainbow Restaurant & Diner - Best Homemade Food in New Berlin, WI! Lily, Johnny and their son JJ have owned and operated the Rainbow Restaurant since September, 1979. 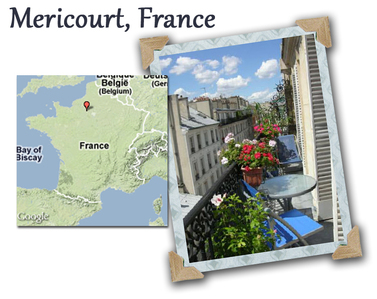 But their story begins in Mericourt, France where Lily was born and raised; Johnny was raised in the neighboring village of Sallaumines. They met and fell in love at church...awwwww. In 1961, when their son JJ was only 3 years old and didn't speak a word of English, they sold everything they owned to seek a more successful life in America. They moved into an apartment over Johnny's Aunt's home in Milwaukee. Lily worked hard as a cleaning lady and Johnny worked as a welder. In 1976, Lily co-owned a small restaurant with her good friend on the North side of Milwaukee. It was a small place that served home-style food and where Lily could improve her French cooking skills. Forever dreaming of owning her own property, Lily found an Ad in the paper for a small restaurant for sale in New Berlin. They purchased the Rainbow Restaurant in August, 1979 and opened their doors in September. The Rainbow Restaurant has been around for quite a few years! Before Lily and Johnny purchased the property in 1979, the restaurant has had 5 different owners... going all the way back to when it was built in 1943. Lily and Johnny have owned it the longest... 39 years! Did you know? 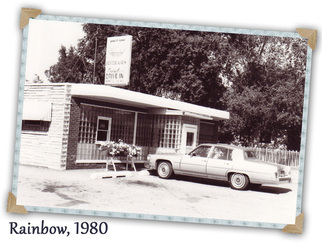 The Rainbow has always been a restaurant... the first owners had a pick up-window. 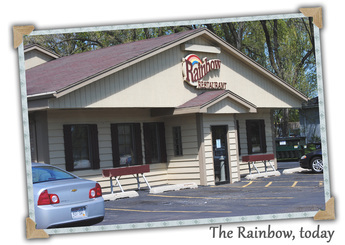 The Rainbow Restaurant has always been called the 'Rainbow' right from the beginning. It got it's name from the glass blocks that covered the entire facade of the building (pictured above). When the sun light beamed through, little rainbows danced all over the dining room. However, in 1986, the glass blocks were removed because it was a bit too chilly in the winter. After 39 years, we must be doing something right!